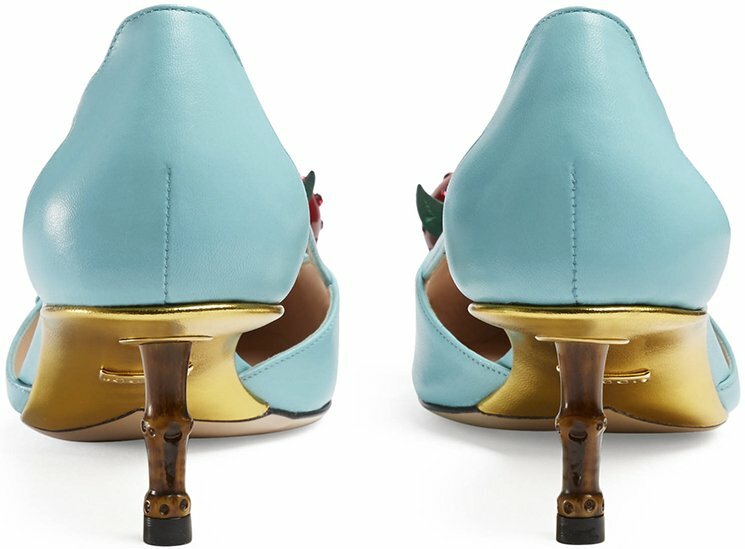 The Gucci Bamboo Cherry Pumps are crafted with the House’s iconic bamboo on the heels – such a fabulous addition can only be made by this Italian designer brand. 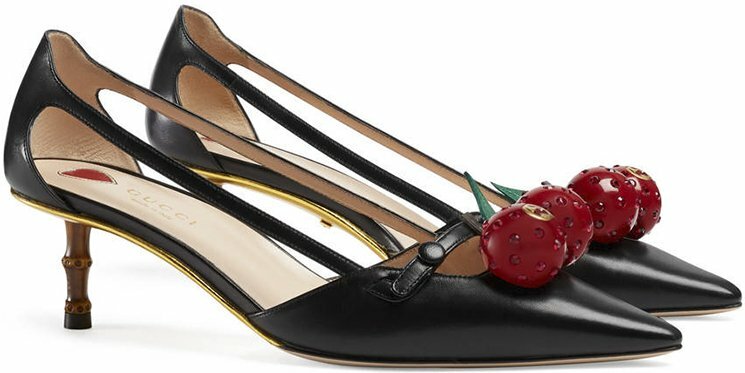 The defining feature is on the toe, which is embellished with two three-dimensional cherries with encrusted crystals (Shine on!). 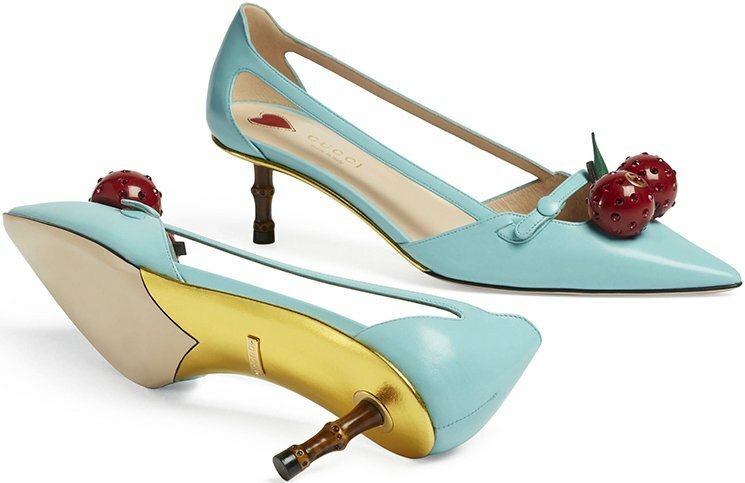 While the shape of the pumps are beautiful and the shoes itself comfortable, a heart motif can be found at the insole, sewn directly into the leather. 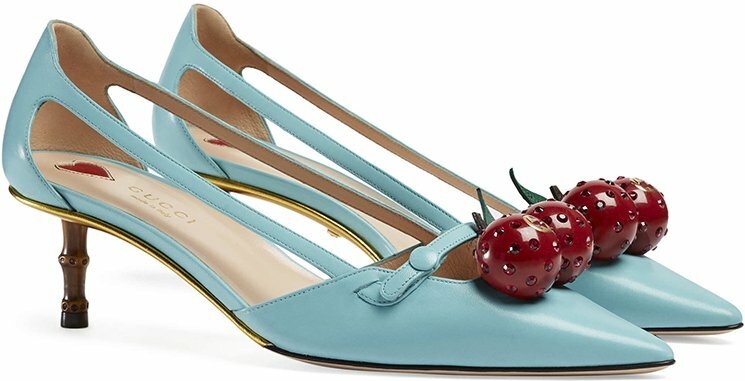 It’s never wrong to invest in shoes and especially timeless-pairs. 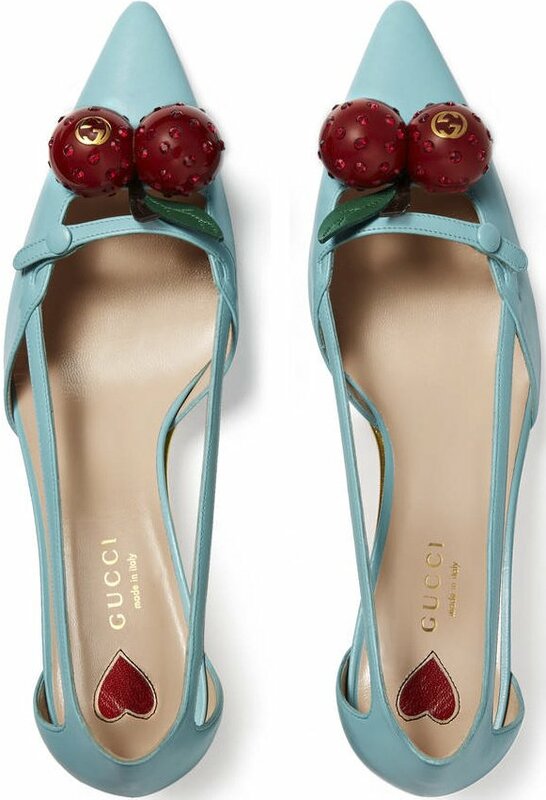 So get these, available in two different color; black and light blue, priced at $1100 USD, €890 euro, £725 GBP via Gucci boutiques.